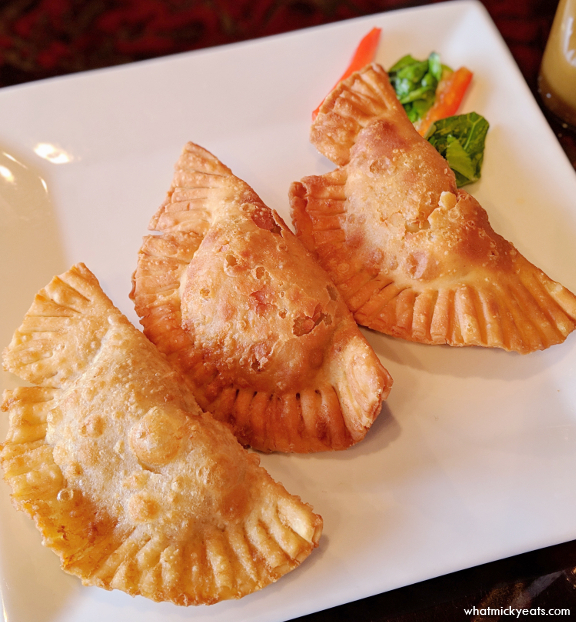 To start, we shared the Chicken Empanadas. The filling of seasoned shredded chicken was super flavorful and moist. The outside crust was thick and crunchy, almost like a won ton. These were very tasty and would make a perfect snack. 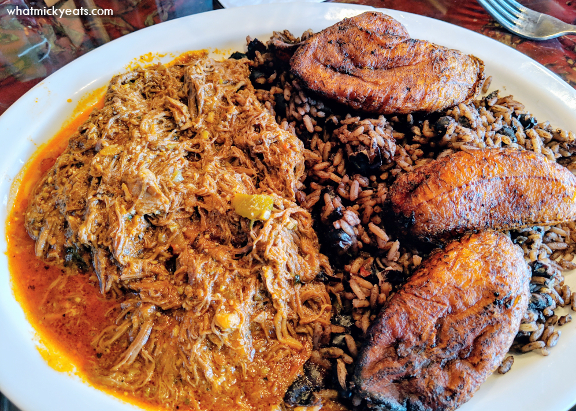 For his main meal, Keith ordered the Ropa Vieja - a delicious typical Cuban entreé of shredded beef in a tomato based sauce with garlic, onions, red and green peppers. Served with Moros y Cristianos - beans and white mixed together and cooked with pork, and sweet plantains. The meat was tasty and a good portion size. 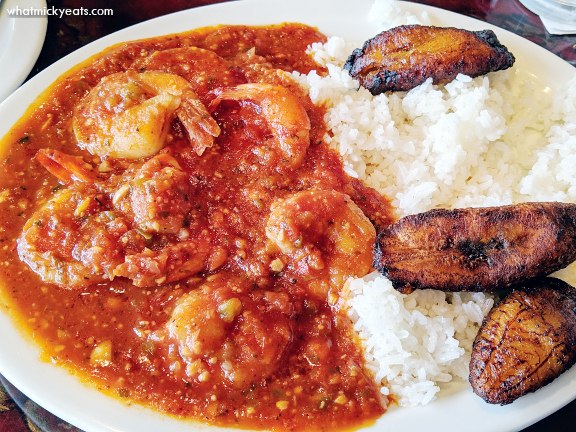 I ordered a special of the day - Camarones al Salsa served with white rice and black beans and sweet plantains. Seven perfectly cooked shrimp were drowned in a vinegary tomato sauce that was a bit overpowering for me. The white helped to soak up the sauce and the sweet plantains balanced it all out. All in the all, the portions were generous and the price was modest. No frills here, just simple home-cooked food. Though located in the suburbs, the restaurant was very popular with both families and young couples. If you are in the area, and looking for authentic Cuban food, check out Cuba de Ayer.